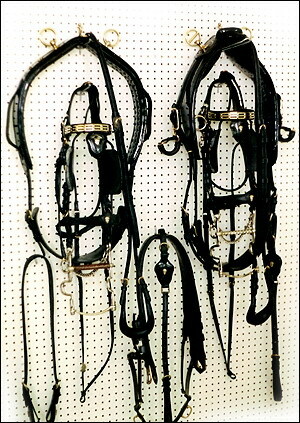 Lead harness matches the wheel set with all straps 1/8" narrower. 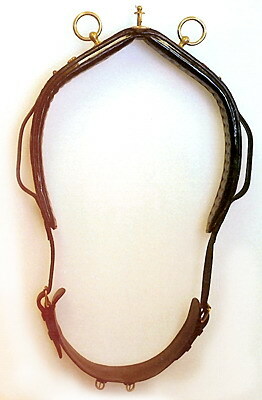 Supplied with long traces with spring cockeyes and sway straps. 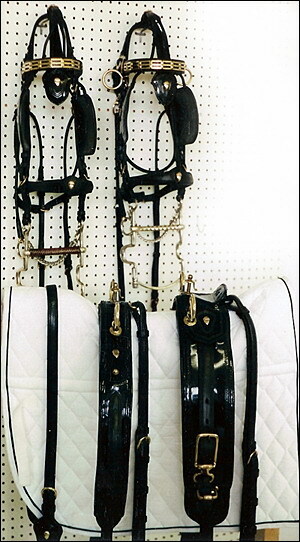 Coach style or Gig style lead pad and loin strap. 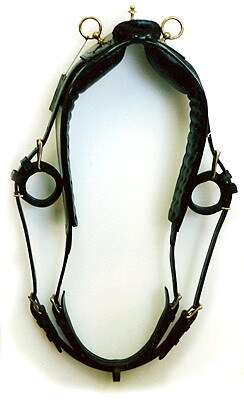 Choice of breastcollar or full collar with hames and tugs for leader. Park style in black, straps raised and four row stitched.